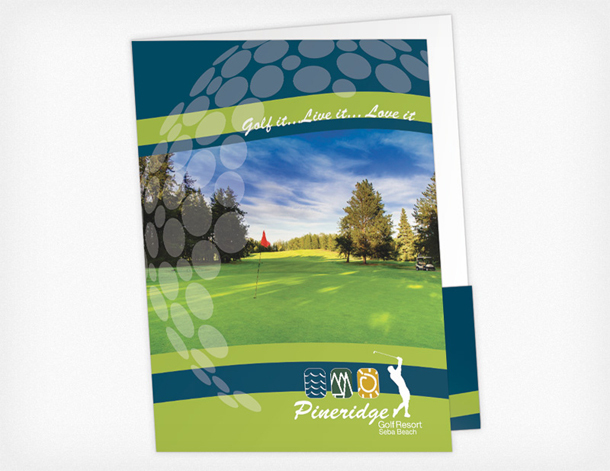 Pocket Folders Printing... shipped free within the contiguous U.S.
Are you using our Design Service? You can order online, or call to order by phone at 1-888-587-2383 ext1. You can expect a beautiful product in a timely manner from friendly professionals! Read what to expect step-by-step. What Does AQ, UV, Etc. mean? These are different types of gloss finishes. AQ means glossy, UV mean high gloss. We could explain it further, but it's much better to see for yourself. Most of our products have a product video. Presentation Folder printing usually takes 7-10 business days (this is just a general guideline) but rush orders are sometimes available. This does NOT factor in your file preparation time or shipping times all of which can vary dramatically. Please call for a more complete turnaround estimate at 1-888-587-2383 ext 1. Q: Can you design my graphics for me? A: Yes!! 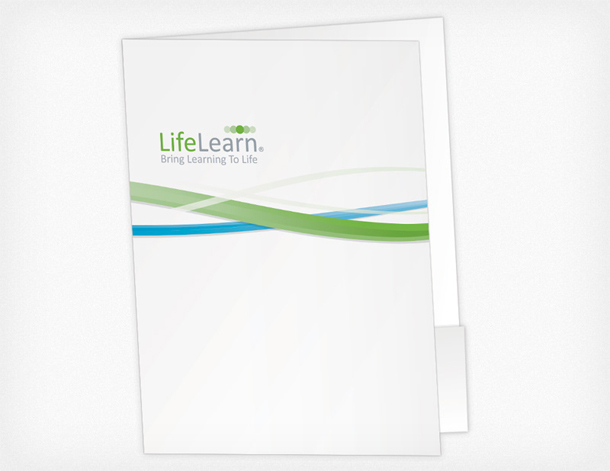 We can design your Presentation Folder for a flat fee of just $79. Read more. Q: Can I use my own graphics? A: Yes! You will be asked to upload your files in the cart. We will set up your files for you but if you wish, you can set them up on our blank templates. A: No. We feel our low cost design service is a much better option. The effectiveness of your advertising will be hugely affected by the quality of your graphics. We believe that low prices should not come at the expense of great service. 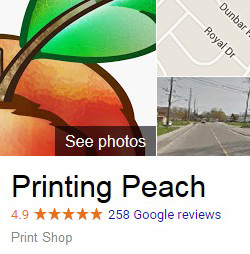 We also believe that ordering print online can be a wonderful and convenient experience. We've been delivering high-quality print products to our clients since 2007 and we're always looking to to improve the quality of our services! Read more about who we are here. It's my first order. How does this work? You can add products to your cart and checkout online or you ca call us to order at 1-888-587-2383. If ordering from our website, you will be asked to upload print files for your products, or instructions for design if you chose our design service. We will send you proofs generally within 1 business day of receiving your graphics or design instructions. You should DEFINITELY look your proofs over very carefully before you approve them because you are effectively saying “this is what I want”, and if there are any mistakes in the proofs, you have accepted responsibility for that mistake. As the customer, you is responsible to proofread and review proofs because you are most familiar with your correct phone number, address, spelling of your business name etc. If there is a mistake or an issue, let us know and we will correct it and send corrected proofs. Once you have approved your proofs, your job is sent to print. The turnaround varies from product to product. We ship to the Contiguous United States for free via UPS and most shipments take 1-2 business days after printing. Some products can be rushed. Additional fees will apply and vary depending on the product and the quantity. 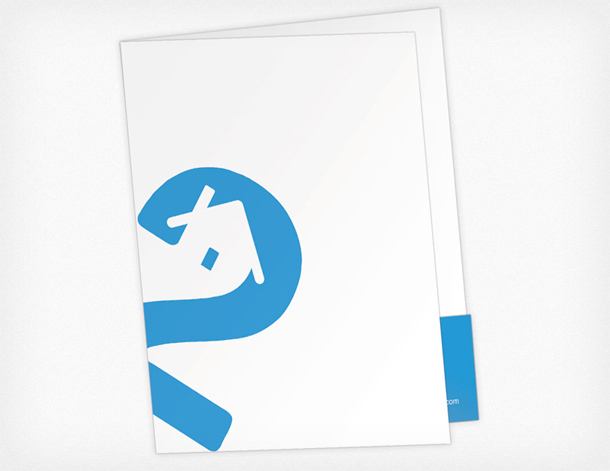 We Can Design Your Presentation Folder for $79! 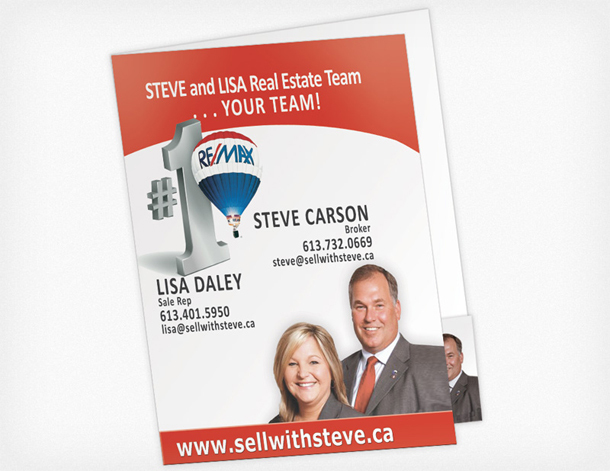 We offer design for Presentation Folder at a low flat-rate cost! This includes your first draft design plus up to 4 revisions for 5 total versions - usually this is more than enough 95% of the time. Extra rounds of revisions will cost $10 each. The small additional investment in design often means a more effective marketing piece and a more profitable marketing campaign. Read more about how it works here or call us at 1-888-587-2383 or Text 289-975-9956 to discuss. Yes, we have two options. The first is to have the Outside and Pockets printed. When these are printed, they are printed on a flat sheet and the cut, folded and glued afterwards. If you think about a pocket folder, this means the pockets are really printed on the same side of the cardstock as the outside of the folder before it's finished. You only need to select the option to print the Outside, Pockets and Inside if you want printing on the inside of the folder, which is the area behind and above the pockets on the finished product. Can we have business card slits? Yes, you have the option of having business card slits on both, one or neither of the pockets at no extra cost to you. How large are the pockets? Our presentation folders have 4" tall pockets and will definitely hold whatever you can fit in it. UV Gloss is a high gloss coating applied after printing. It should be noted that UV Gloss cannot be written on easily. Matte Coating is often confused with Uncoated but they are actually quite different. The Matte Coating is a nicer product and has more of a Satin finish. It can be written on with a pen easily.